Unlike traditional braille frames, the Braille King is an upward writing frame, which uses a unique hollow-ended stylus to produce the dots. Braille is written from left to right, so you don't have to worry about reversing characters as you write or having to turn the paper over to read what you have written! 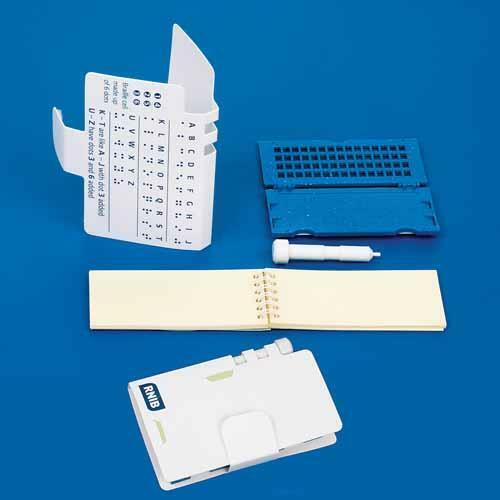 This small durable and light-weight pocket-sized frame is ideal for all braille writers as well as sighted friends and family.